You’ve probably never heard the term “snacking” in reference to smartphone activity, but it’s out there. Think of it like that natural instinct to open the refrigerator and grab a snack when you’re bored, but instead it’s the natural instinct to grab your phone and start doing something on it. According to eMarketer, Americans armed with smartphones represent a different class of consumers: ones that stand apart from other Americans in the way they shop, communicate, consume media. This class is referred to as the ‘smartphone class’ and there are about 100 million members. How are the members of this class distinguishable? They are always connected, excited by access to real-time information, pass time by watching videos or playing games on their phones, scan mobile barcodes, shop with mobile coupons, make mobile purchases, and more. You know when you’re sitting in the waiting room at the doctor’s office and you grab a magazine to read to kill the time? Well, the consumers in the smartphone class grab their phones instead—maybe to check their Twitter, surf the Web, play Angry Birds or upload a photo on Instagram. Whatever it may be, their spare time consists of them engaging in some kind of mobile activity. They are constantly “snacking” on small portions of content on their mobile device throughout the day, keeping them more connected than ever before. The path to purchase has been completely repaved by these snackers, giving marketers a tremendous opportunity to target them. Also, smartphone penetration and mobile gaming and video consumption are constantly growing, which means so are these opportunities. I’m definitely a member of this smartphone class, and I’ll admit to being a snacker as well. Are you part of this class of consumers? Are you hesitant to dive into certain areas of mobile marketing for fear of making mistakes? Strategy Analytics predicts that advertiser spend on mobile media will almost double from $6.3 billion to $11.6 billion. Certainly there are plenty of marketers diving in, and they’ve made their share of mistakes along the way. 1. Failing to optimize your landing page for mobile. Example: Mobile Marketer seems to have a new example every week of an advertiser that hasn’t optimized a landing page for mobile. White Castle, P.F. Chang’s and Target have all run into this problem recently. 2. Using the same paid search campaign for desktop and mobile. Solution: Mobile searches are inherently different from those of desktop, and if you’re using the same paid search campaign for both, you’re missing out on an opportunity for better results. Google suggests modifying keyword selection, adjusting bids and utilizing mobile-specific ad formats to drive performance with a separate mobile campaign. Example: At the time of writing, a search for “flower shop” on my mobile device yields results from businesses large and small. Local business Lawrenceville Flower Shop comes out on top with a click-to-call ad, while other small businesses have missed the opportunity. 3. Deploying QR codes that can’t be scanned. Solution: If your QR code can’t be scanned, it’s just taking up valuable space. Thorough testing is extremely important, and be sure to follow these design-related best practices to improve reliability. Also, remember that your audience should be able to access the Internet (no subways) with the ability to stop and scan (no billboards). Example: 60 Second Marketer featured a guest post on the “Top 5 QR Code Fails of 2011” – proof that with new technology, even the most seasoned marketers are bound to mess up. 4. Breaking the rules in an SMS marketing campaign. Solution: There is an alphabet soup of laws or regulatory/advisory organizations that rule the SMS marketing land, including CTIA, MMA and CAN-SPAM. If you break the rules, you could have your campaign shut down along with those of marketers using the same short code. Become familiar with the MMA’s Best Practices (PDF), then for good measure, review the CTIA’s Playbook. Example: T-Mobile famously blocked all messages from SMS marketing company Ez Texting in 2010 due to alleged violations from a single marketer. Without a doubt, you will make some mistakes as you expand your mobile marketing efforts, but by following the suggestions above, you’ll avoid mistakes that even the biggest companies have made. THIS JUST IN: Mobile users prefer to receive offers via text message! I know, I know. This may seem like old news. 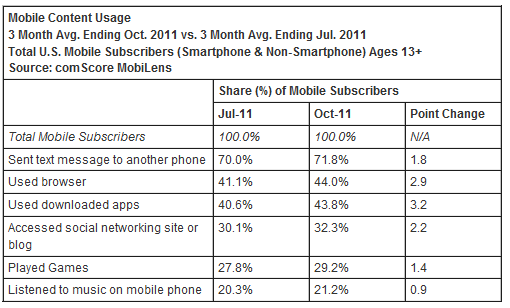 But the data just keeps pouring in, which only helps solidify my argument that SMS is an effective marketing medium. According to new information released by YouGov, mobile users are very open to being sent offers via SMS. In the past, the industry has experienced negative attitudes toward text message offers on the consumer side, and reluctance of marketers to utilize them due to doubts regarding their success. 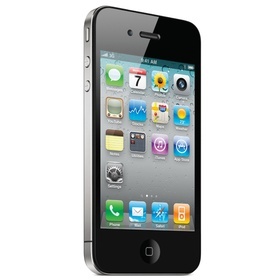 65% of people like offers on their mobile phones. 75% of smartphone users prefer receiving offers via SMS. 83% would prefer to receive no more than two offers per month. I know, you’re probably wondering “then why don’t all businesses use SMS to reach their customers?” And all I can say is, it’s only a matter of time. 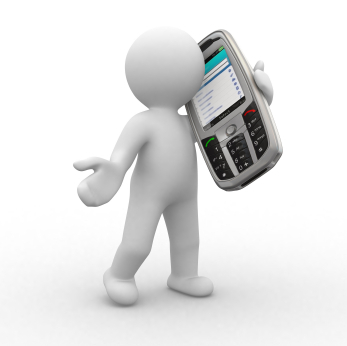 SMS allows businesses to deliver strategically-timed offers to a very captive audience. They can gather SMS opt-ins and deliver value-driven messages to those customers to reward them for their loyalty. But marketers and businesses need to be aware of how to maintain the sanctity of SMS so it can keep moving in this positive direction, so this data should be taken to heart. Don’t overwhelm your customers with a billion text messages a month—they WILL get over it and they WILL unsubscribe. Don’t send messages that don’t deliver some sort of value to your customers—they WILL lose interest and they WILL unsubscribe. So, let it be known: the most effective mobile marketing medium for eliciting a consumer response is SMS. Are you making the most out of your marketing efforts? Best Buy Co. Inc. has found its more valuable customers are ones who don’t just visit the e-commerce site or the bricks-and-mortar store. They also shop using their smartphones and tablets. How valuable are these customers? The multichannel Best Buy consumer who uses a mobile device makes 15% more e-commerce purchases than the non-mobile consumer, said Chris Moroz, Best Buy associate manager for digital analytics. And, for in-store purchases, the mobile Best Buy consumer is 25% more valuable. Speaking at the Adobe Digital Summit 2012 in Salt Lake City, Moroz said Best Buy calculated these figures by measuring three sets of data. One was connecting the BestBuy.com visitor data to its database of registered customers. Another was the result of surveys sent to e-commerce visitors who filled their shopping carts, but abandoned the sale. The third was a survey at the point of sale about the consumer’s shopping experience. The data then was screened through digital analytics software from Adobe Systems Inc.
“We found that on any given day a BestBuy.com visitor is more likely to purchase in-store,” Moroz said. Of consumers using a mobile device to visit Best Buy’s m-commerce site, one-fourth were found to make an in-store purchase within two weeks of their visit, he said. Best Buy, incidentally, fared best in a recent survey by market research firm ClickIQ of the behavior of consumers using smartphones in stores. To find out what happened after the in-store research was complete, survey respondents were asked to state where they eventually purchased the product they were researching. Best Buy did the best job of retaining the sale. 35% of those that researched at Best Buy ended up purchasing at the Best Buy store with another 14% purchasing at BestBuy.com. However, 21% purchased the product from Amazon.com. The rest did not purchase. At the conference, Moroz said the next step for Best Buy is to automate much of the data collection process and to get more data about how consumers use Best Buy’s smartphone apps. 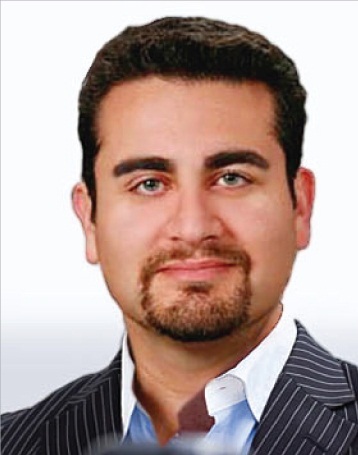 “The mobile-savvy customer needs to be heard,” he said. Best Buy is No. 11 in the Internet Retailer Top 500 Guide and No. 16 in the Mobile Commerce Top 300. Lynn Lanphier, director, digital analytics, Best Buy Co. Inc., will speak this June at the Internet Retailer Conference & Exhibition 2012 in Chicago in a session titled “The new age of analytics: Creating a data strategy that leads to increased sales.” And learn more about the Mobile Workshop at IRCE 2012. While marketers may have an elaborate mobile campaign – whether it includes mobile advertising, SMS, applications or QR codes – it might not always garner the engagement and results expected. Many campaigns may not get the expected click-throughs or opt-ins they initially anticipated. However, it is never too late to refresh an idea. “Mobile is experiencing explosive growth and is a new and exciting way to reach consumers at the moment when their intent to purchase is strongest,” said Wilson Kerr, vice president of business development and sales at Unbound Commerce, Boston. “As such, few of the old rules apply,” he said. “Outdated CPM or CPC models might suffice for generalist branding campaigns, but smart mobile marketers are linking mobile campaigns to actionable, commerce-enabled mobile pages where success can be measured by lift and increased revenue. According to Mr. Kerr, it is essential that marketers rethink their goals. It is important for marketers to see who they are looking to target and find out more about their user. Additionally, testing is key and helps marketers see what works and what does not. “Try some things in a limited way, to learn,” Mr. Kerr said. “Are you prepared for NFC? Tried QR codes? Location to push ads to shoppers? “There is real value in learning and gaining experience in this space, as mobile continues to grow and evolve,” he said. “Mobile consumers want to act, they do not want to surf off to some Web page and read a lot of branding messaging on their smartphone. For example, if a company is running a mobile advertising campaign, it is important to link the campaign to mobile-optimized landing pages where an action can occur, as well as be able to track the lift. “No mobile campaign can succeed if the mobile consumer lands on a page not formatted for mobile,” Mr. Kerr said. “Also, target mobile ads for max effectiveness by using mobile-specific variables like realtime proximity to your locations as a prequalification. “Consider proposing a revshare arrangement with ad networks, where they share the tracked upside, in exchange for tweaking the campaign for max effectiveness,” he said. Currently, many marketers are dabbling in SMS. However, a SMS campaign might not get enough sign-ups or opt-ins that are expected. Sending messages to consumers can help build a dialogue between the brand and the customer. 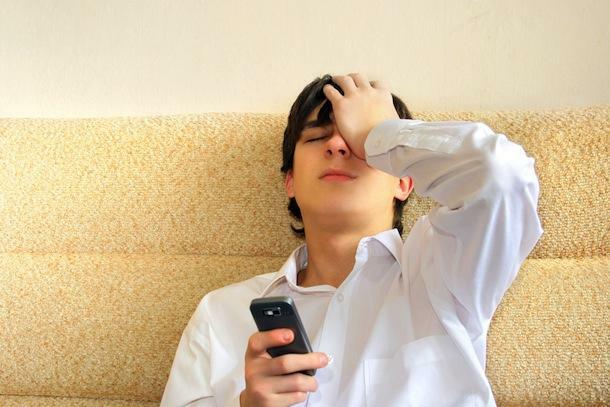 However, bombarding them with messages or sending them texts that are not relevant can help diminish that relationship. “Messaging campaigns fail for a variety of reasons,” said Jeff Hasen, chief marketing officer of Hipcricket + Augme Technologies, Kirkland, WA. “One is a lack of strong call to action – the mobile subscriber needs to be incented to do something and the CTA must be prominent or it will be lost,” he said. Mobile subscribers are all about instant gratification, per Mr. Hasen. To succeed, marketers should start by mapping a strategy for their business goals. According to the executive, several best practices include working with a provider that offers technology with strategy and creative, testing before diving in fully and providing multiple ways for consumers to engage. 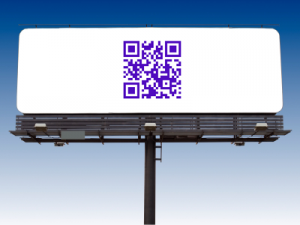 Many marketers are also using QR codes in their campaigns to drive user engagement. However, consumers are still not educated on what a QR code is or what they need to scan it with – therefore, they are not getting the scans they had expected. “With any digital marketing tool, it is critical to measure your results and adjust your approach if it is not meeting objectives,” said Mike Wehrs, CEO of Scanbuy, New York. “QR Codes should follow the same rules. “Create your codes with a tracking tool so you can look at the performance on scan rates and engagement,” he said. “If your campaign is not getting the scans you expected, you may want to rethink where the code is being placed and revise the call to action around the code to be more direct about why to scan. According to Marci Troutman, CEO of SiteMinis, marketers should use mobile as an A/B testing ground. “If a campaign is not getting enough lift, try a different approach with the same campaign, change the order of the action item, move a click-through to the top and add another action item for two in one,” she said. If a campaign is not performing well, Ms. Troutman suggests that marketers either revise the campaign with a different approach or start fresh. “The revising of a campaign shows an A/B testing that can be valuable for future campaigns as they move forward,” Ms. Troutman said. “For example, if a campaign has one action item and there is a scroll on the micro site or landing page, and it is not extremely intuitive what the action is, then taking that same campaign and moving some of the pieces around to change this campaign could make a difference, and if it does, it gives valuable insight into the next campaign that is sent out as to where and how the action should be displayed,” she said. The executive also says that marketers should never feel intimidated about launching a campaign. Open rates for email on mobile devices increased significantly in the first half of 2011 compared to the last quarter of 2010, therefore experts say it is a necessity for marketers to make sure their emails are optimized for mobile, according to a new report from Knotice. Most consumers with smartphones use their devices to check e-mail to some degree. Digital marketing firm Knotice makes the case, and it’s one that cannot be ignored by retailers that want to get the most from their e-mail marketing campaigns. 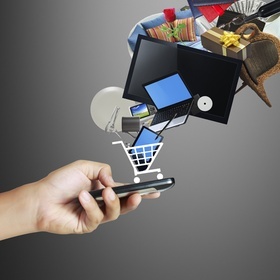 In the first half of 2011, 20.07% of retail marketing e-mails were opened on a smartphone or tablet, Knotice finds in a study of 6.5 million retail marketing e-mails. This compares with 13.36% in the fourth quarter of 2010. What’s more, in the first half of 2011, consumers clicked on links in 11.00% of all retail marketing e-mails. What this means is that if an e-mail is sent in its PC format, it will appear small and crunched on the smaller screen of a smartphone, making it less intriguing to consumers. Optimizing an e-mail for viewing on a mobile device—whether done through tweaks to the width of a PC e-mail or designing separate e-mails that perfectly fit the smaller screens—can lead to greater consumer engagement in a campaign. But when optimizing e-mail and web content for mobile users, it’s important to optimize the entire experience, not simply how the e-mail message itself looks on a phone’s screen, Knotice says. Knotice studied more than 150 million marketing e-mails in 11 industries. 20.24% of all marketing e-mails are opened on a mobile device, according to the study. Knotice breaks down mobile opens by device. 12.78% were opened on an iPhone, 3.92% on an iPad, 3.15% on an Android device, 0.22% on the now-defunct HP webOS (formerly Palm), 0.05% on a device running one of the Windows mobile operating systems, 0.01% on a BlackBerry and 0.11% on other devices.